We have previously heard a number of rumors that Apple is working on a larger 12.9 inch iPad with a Retina display, the last thing we heard as that it may launch next March. Now according to a new report from the Korea Times, who have received some information from ones of Apple’s current suppliers in Korea, the 12.9 inch iPad has already gone into production. The device is expected to at least come with the same resolution as Apple’s current Retina displays, which is 2048 by 1536 pixels, although it is possible that it could feature a larger Ultra HD resolution of 4K. We also heard rumors recently that Apple are looking to release larger screened versions of their iPhone in 2014, the current iPhone comes with a 4 inch display. According to the report Apple is interested in larger displays, as tablet have been replacing computers, and this new 12.9 inch iPad would feature a similar display size to the companies MacBook Air and MacBook Pro. 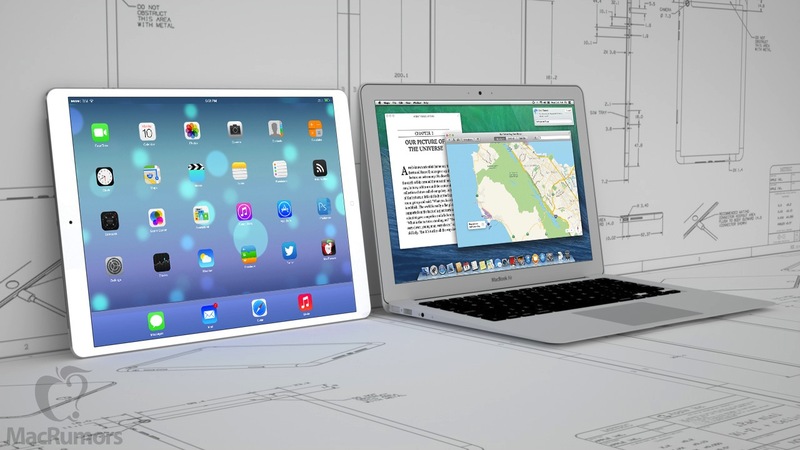 What do you guys think, would you use a larger iPad if it was available instead of a notebook? It will be interesting to see what Apple has planned for their tablets in 2014.